While I do have a sweet tooth for desserts I have never been one to eat much candy. I have this idea that eating a cookie is a better sweet fix than a piece of candy, yes, they are both sweet, but, somehow that cookie is the “healthier” option in my mind – this coming from the girl who has never met a glass, bottle or can of Coca-Cola she didn’t like! Don’t get me wrong though, I do love the occasional truffle from Godiva, but, you definitely won’t find me eating a bag of Skittles. I swear I am not a candy snob or anything though… I just don’t particularly care for candies that can change the color of your tongue all shades of the rainbow. There is one candy though that I do have a sweet spot for – Reese’s. That can be a Reese’s Peanut Butter (any size or shape, but especially the Easter egg one’s) or Reese’s pieces. There is something about peanut butter and chocolate together that is oh so delicious! 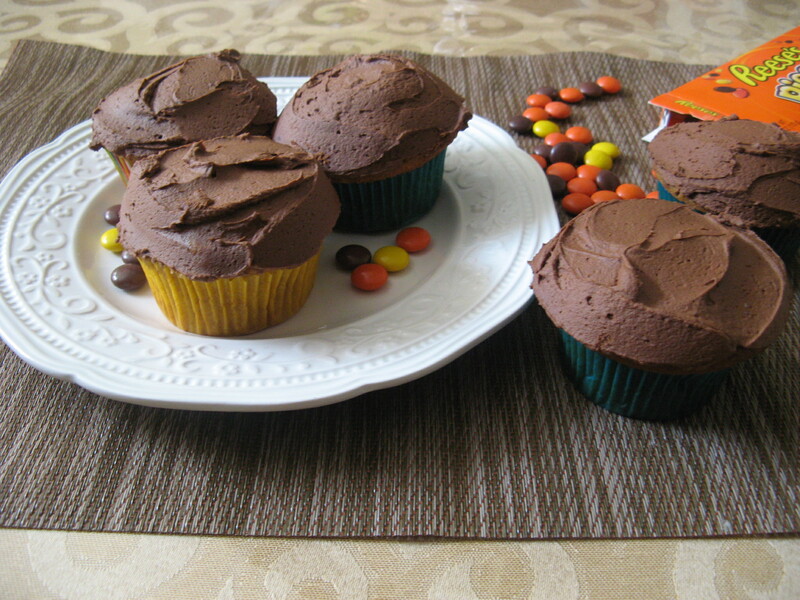 So how could you go wrong with a peanut butter cupcake with chocolate frosting! 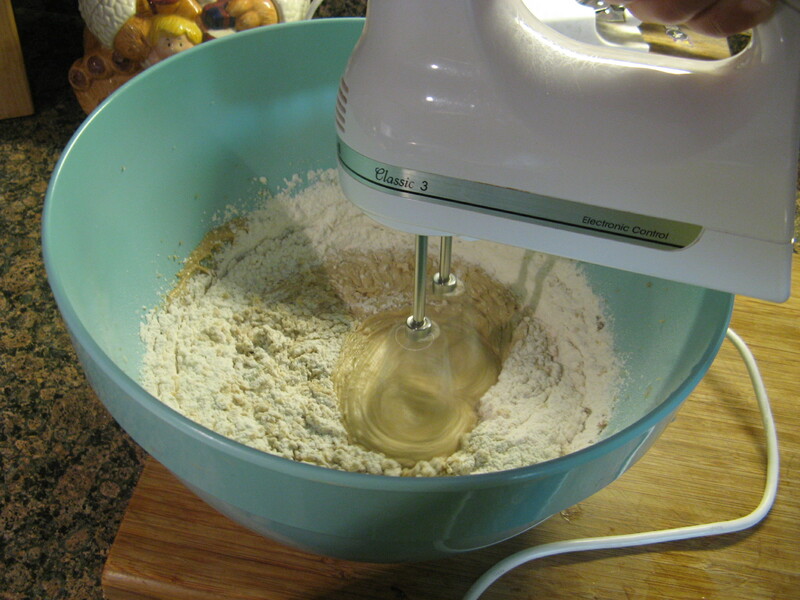 To begin I sifted the together flour, salt and baking powder and set it aside. I then creamed together softened butter, light brown sugar and vanilla extract. Up next I added in smooth peanut butter to the butter mixture. 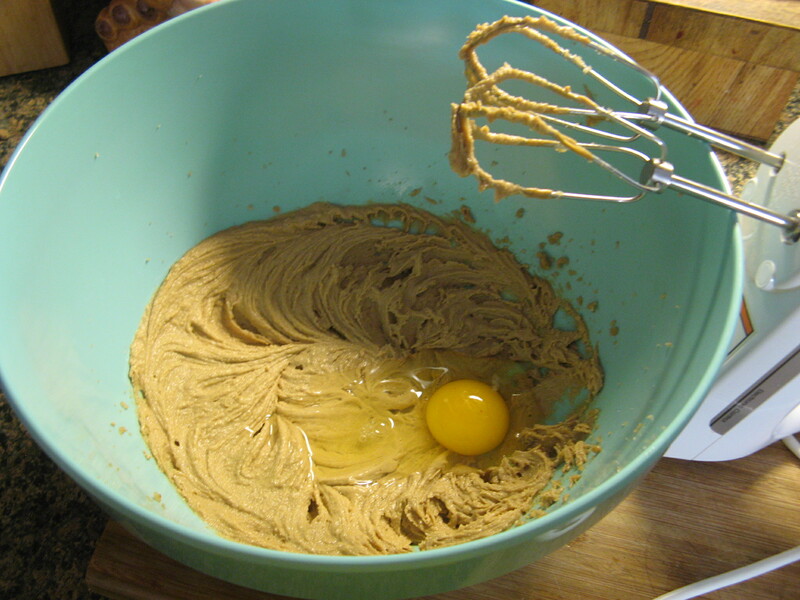 Once the peanut butter was incorporated I added in two eggs, one at a time. And the final wet ingredient…milk. And then I added in the flour mixture. Per the directions I didn’t over-mix the batter and I must say this was one of the smoothest batters I have ever made for any cupcake or cake I have baked. 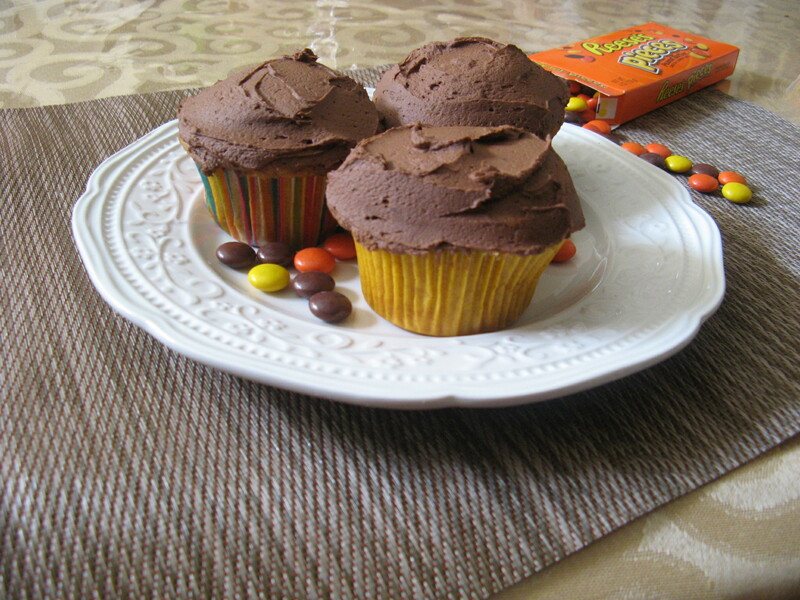 I instantly knew this was going to be a perfectly textured cupcake – light and smooth. 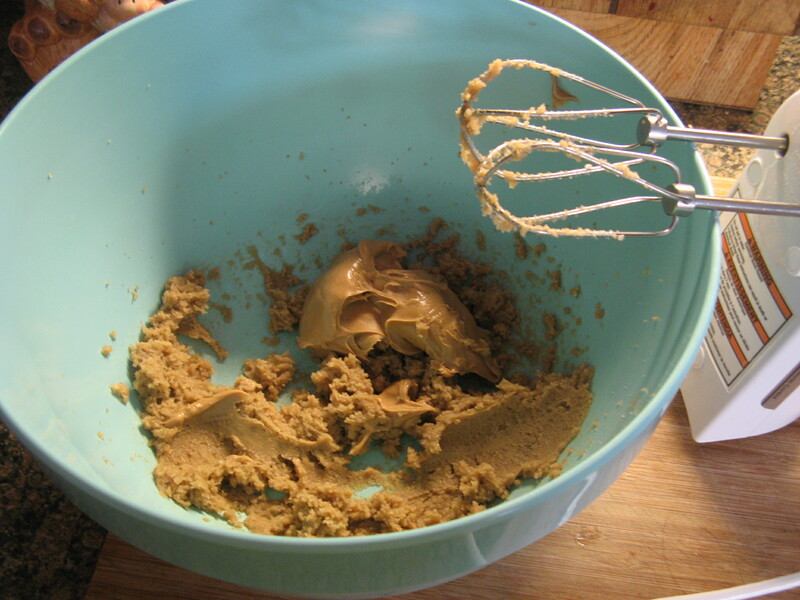 And I must admit, I couldn’t help it and I had to try the raw batter and it was the perfect peanut butter flavor. 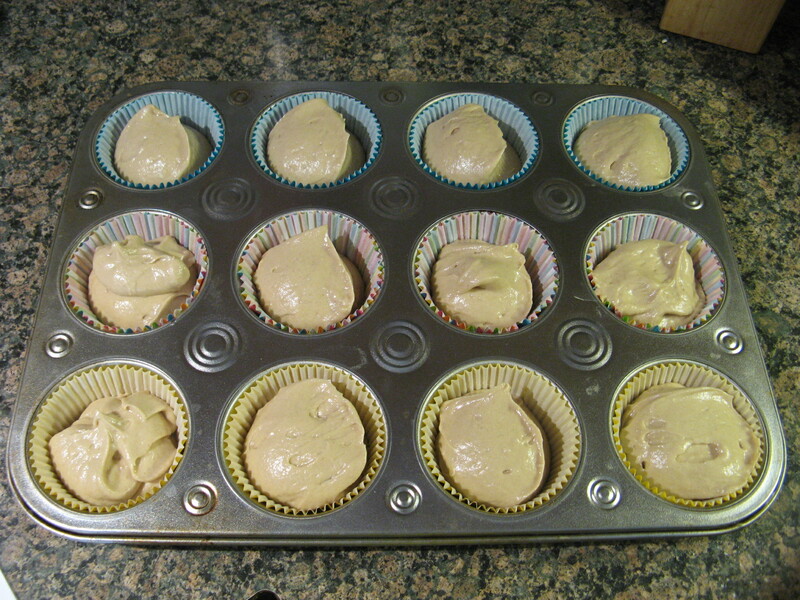 After filling the cupcake liners with about 1/4 cup of batter I baked them in a 350 F preheated oven for 25 minutes. I let them sit in the pan for a few minutes before removing the cupcakes and letting them cool completely on a wire rack. While they cooled I made the frosting, which was super simple. I melted a 12oz. bag of semi-sweet chocolate chips in 1 1/3 cups of heavy cream over low heat. I then cooled the melted chocolate in the refrigerator for about 40 minutes and then 15 minutes in the freezer so it could chill but not become too firm. 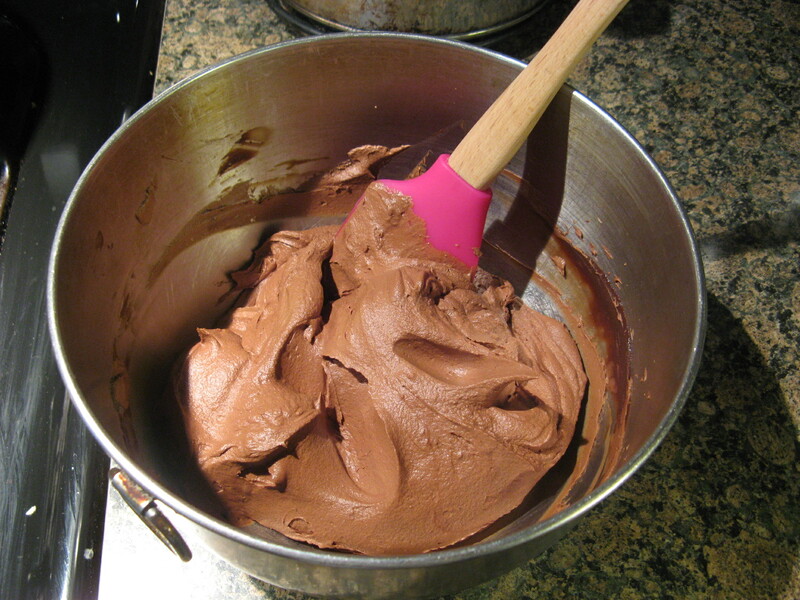 I then whipped it until it was creamy and then spread it over each of the cupcakes. These were absolutely delicious and I assume would go perfectly with a tall glass of cold milk – I am not much of a milk drinker. I prefer my milk with my daily bowl of oatmeal for breakfast. I wish I could reference where I got the recipe from, but unfortunately I ripped it out of a magazine some time ago and have no clue which one. Preheat oven to 350 F. Line 12 muffin cups with paper baking cups. 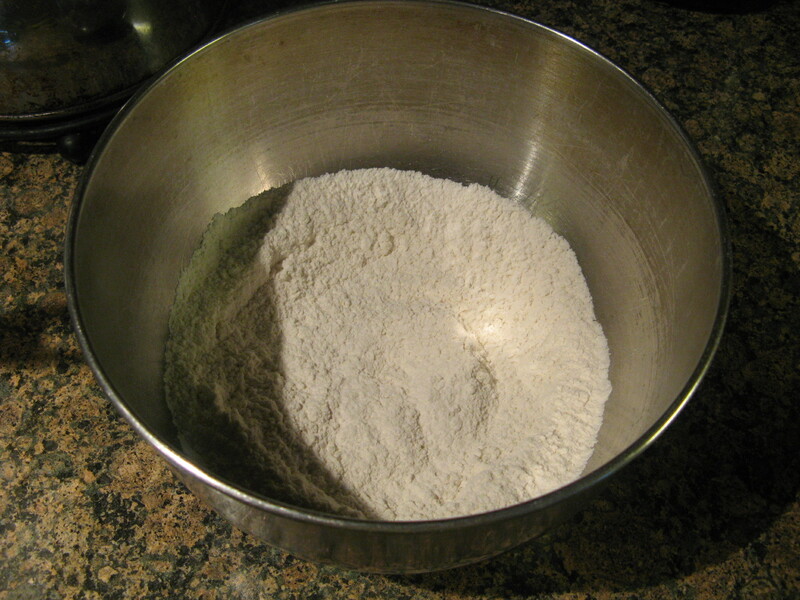 In a large bowl, sift together the flour, baking powder and salt; set aside. 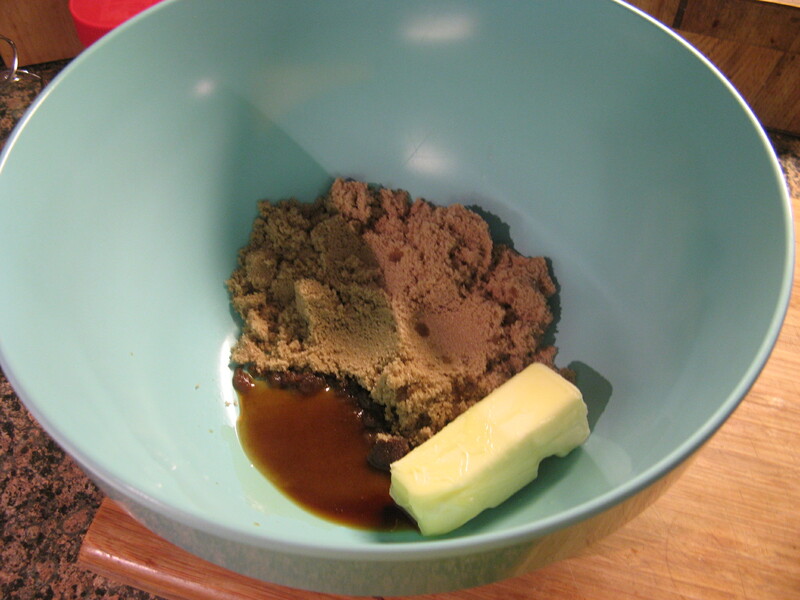 In another bowl, beat the light brown sugar, unsalted butter and vanilla extract. Add in the peanut butter and beat until completely blended. Add the eggs, one at a time beating well after each addition. Add the milk. Slowly add the flour mixture and beat until mixture is combined; do not over-mix. Fill each muffin cup with about 1/4 cup of the batter. 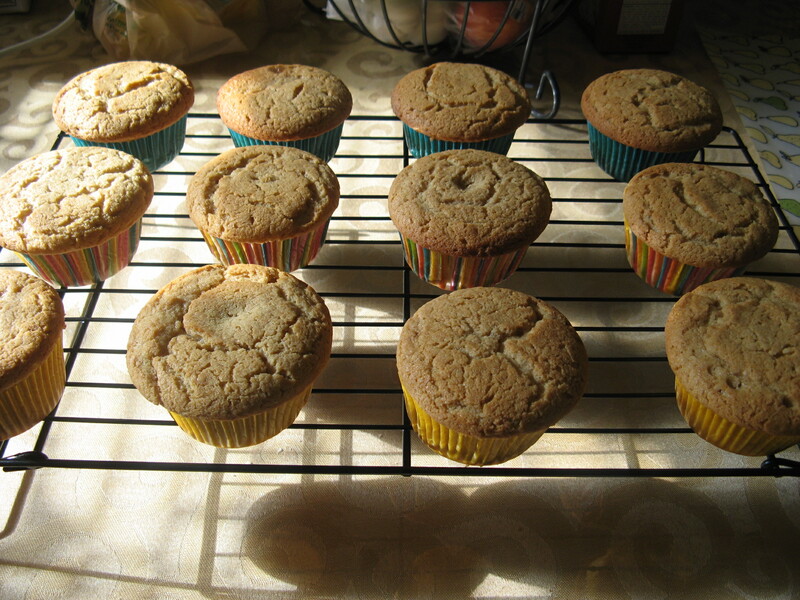 Bake 20-25 minutes, or until the cupcakes spring back when touched lightly. Let cool for at least 10 minutes before icing. 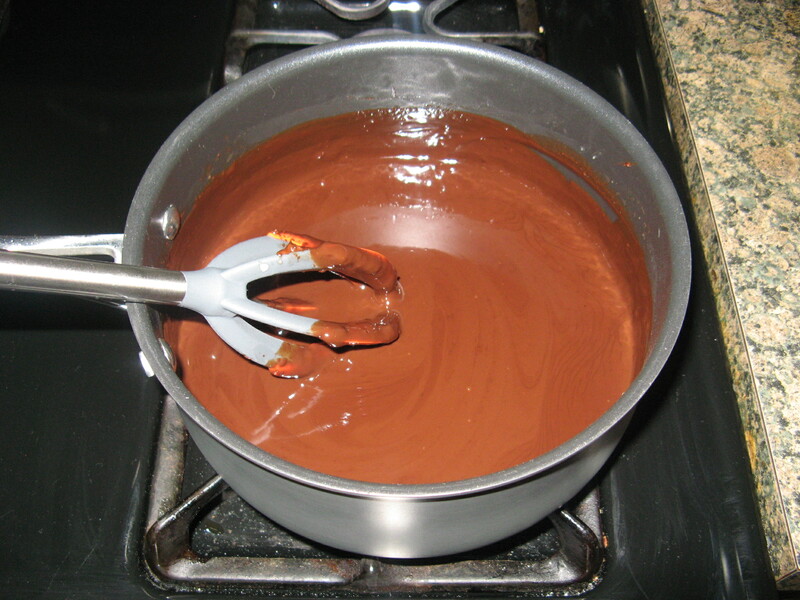 In a saucepan over low heat stir the chocolate chips and heavy cream until the chocolate is completely melted and smooth. 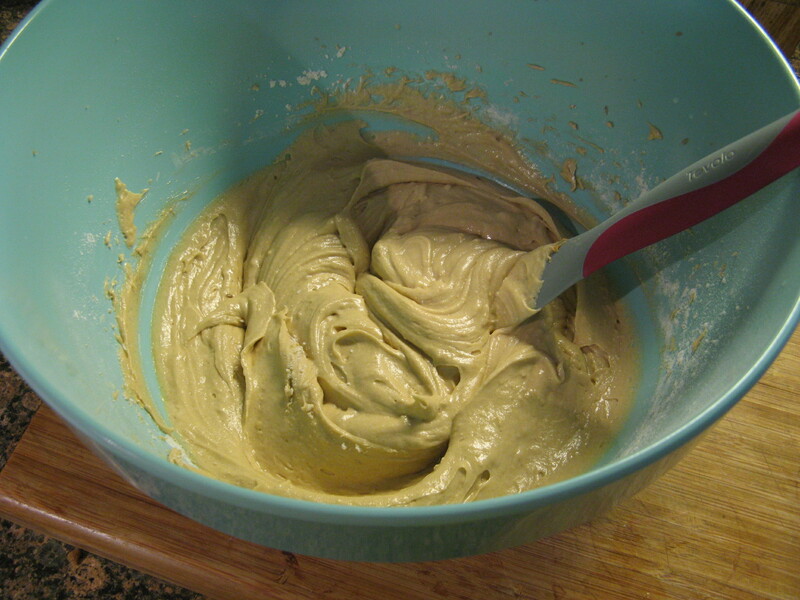 Transfer the mixture to a mixing bowl; refrigerate 1 hour, or until chilled throughout but now too firm. 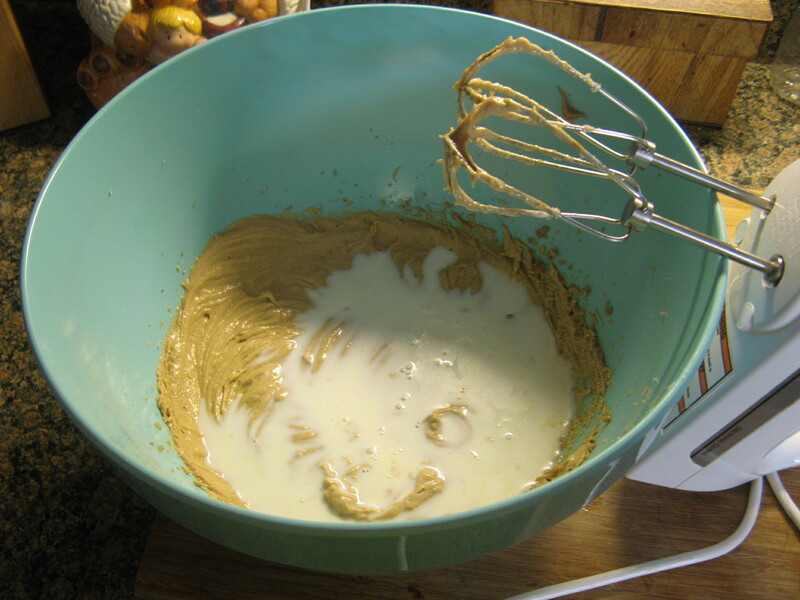 Beat the mixture until creamy, about 3 minutes. Spread about 1/4 cup of frosting over each cupcake. Garnish with peanut butter chips or peanut butter – filled candies, if desired.